Isuzu entered the Indian market in 2012 and their first offering here was D-Max pickup truck in Regular Cab and S-Cab variants. Both of these were only offered for the commercial market and could not be registered as a private vehicle. Next came in the MU7 SUV. 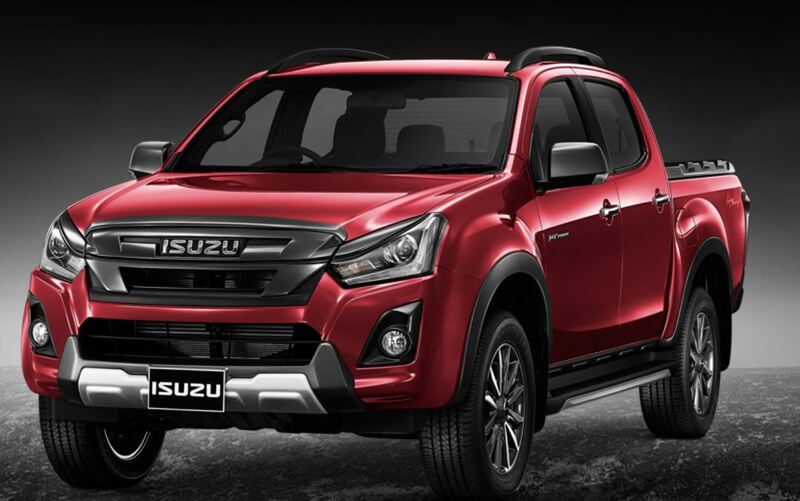 Things started looking up when Isuzu brought in the V-Cross version of D-Max pickup truck in 2016. This was more focused towards the passenger vehicle market and was positioned as a lifestyle vehicle for families. It competed against the Tata Xenon and Mahindra Scorpio Getaway. Pickups, in general, were not common at that time and both Tata & Mahindra’s offerings were not performing well. Surprisingly, V-Cross attracted a lot of attention and has been performing way better than its competition. Now, to keep up the interest in this product, Isuzu appears to be readying a facelift for our market. 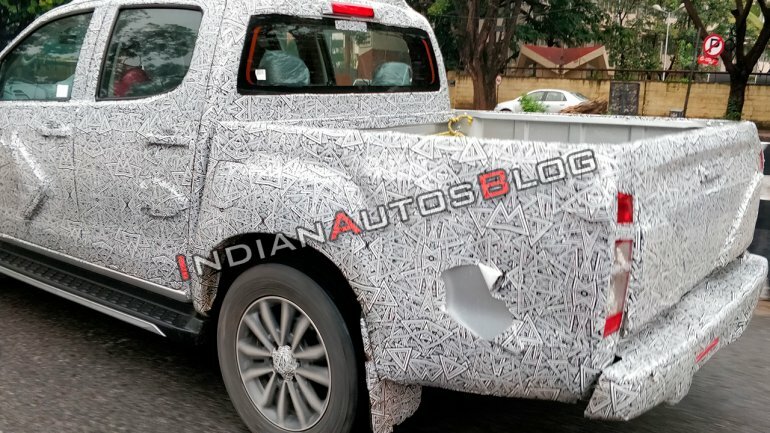 The facelifted vehicle was caught testing recently on our roads and its spy pics were shared in a story by Indianautosblog. Notably, a facelift of V-Cross has already been launched in Thailand nearly a year ago and we expect the new Indian V-Cross to be on the same lines. The biggest change to notice is the all-new front grille design. The headlights are also all new and house the L shape LED DRL’s. The front bumper design also appears to be tweaked with all new housings for the fog lamps. The B pillar on the Thai version of the car is blacked out and we expect the same on Indian version too. Not much will change in terms of design on the side and rear of the vehicle. The alloy wheels will get a different design than the current one and will be a bit sharper now. On the inside, the Thai V-Cross has received very subtle changes and we can expect the same to come our way too. The dashboard will change a bit with the storage space above the infotainment system getting a lid. The infotainment system on the Thai model is different but, we do not know if that one will come to us or not. The instrument console will change with an all-new MID and new dial design for the meters. The car is expected to get features like keyless entry and push-button start as well. The upholstery, including the leather one, might change a bit to give the cabin a new feel. All other features available on the current car like ESC, Traction Control, Cruise Control, Rear-View Camera, Auto Climate Control etc. will definitely make its way to the new one too. The car is expected to continue with the same engine & gearbox set-up as the current one. Currently, the car comes powered by a 2.5L, 4 cylinder diesel engine which produces 134HP of power and 320 NM torque. It comes mated to a 5-speed manual gearbox. The car also gets a shift on the fly 4WD system which should continue as is on the facelifted car. D-Max V-Cross has been one of the best performers for Isuzu in India and with the new update, the Japenese UV giant wants to make the package more compelling for its customers. 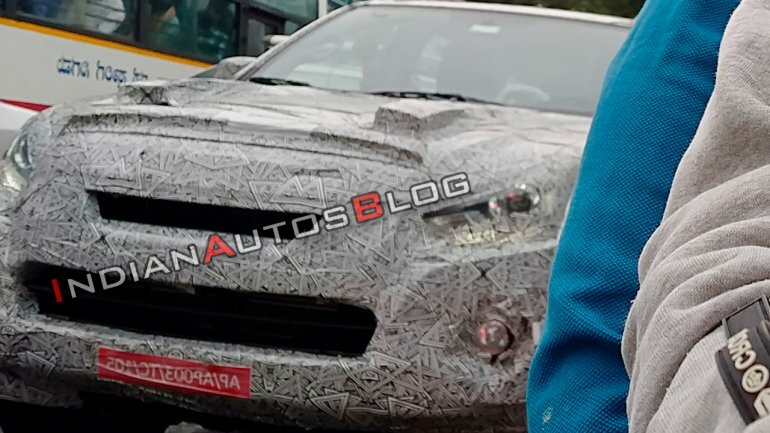 Interestingly, the facelift of the MU-X SUV, which shares some of the components with V-Cross, is also caught testing on our roads a few times recently. This shows Isuzu is really keen on the Indian market and keep on offering the latest products here to bolster its position further.